A Melbourne-style laneway espresso bar serving Mecca's Darkhorse blend and featuring an ever-changing mural. 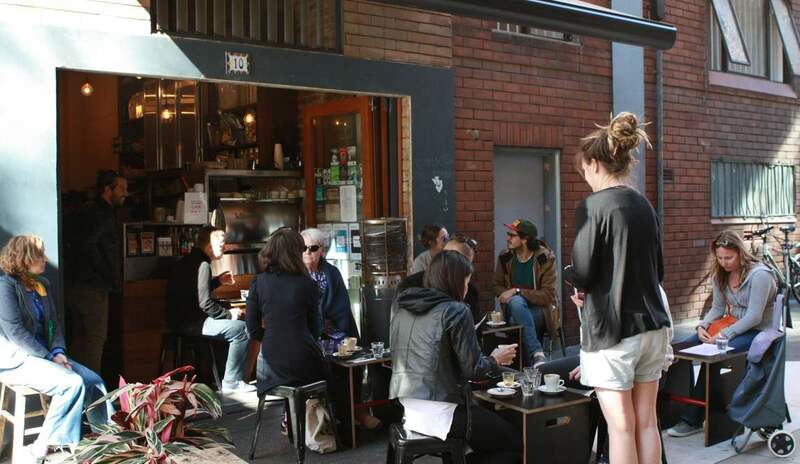 Room 10 has achieved the zeitgeist of the Melbourne-style laneway espresso bar: excellent coffee served with unpretentious chic in an impossibly trendy Potts Point back alley. In the hopper is Mecca's reliable Darkhorse blend, a crafty combination of Ethiopian Duromina and Guatemala Hunapu that offers a smooth, chocolatey kick for winter. Come on the right day, and you can also opt for an impressive single origin roast prepared expertly by co-owner and barista Daniel Blackman. Weekday or weekend, two — and four-legged traffic — flows through the alley and congregates around Blackman's coffee machine. 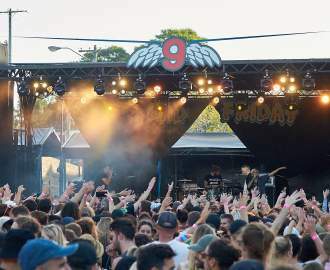 Artistic tattoos, ironic haircuts and fixies make regular appearances among the crowd, along with a selection of the area's most Instagrammable canines. Locals are welcomed by name; their orders have been committed to memory and are already grinding by the time they take a seat. The resourceful Room 10 team have made good use of the limited space behind and in front of their tiny hole-in-the-wall shopfront. The shoebox kitchen pumps out clever breakfast options like toasted walnut and fig loaf with Paesanella ricotta, fig compote, pistachio dukkah and honey ($9), as well as "brekkie rice": creamed red rice, black quinoa, toasted nuts and seeds, fresh fruit, yoghurt, stewed rhubarb and Blackman's own breakfast dukkah ($12). On the wall is a mural that changes with the seasons and features the work of talented local designers. Room 10 is the kind of place where everybody knows your name. You get the sense that if you smile nicely enough at the barista, you'll get a text when your favourite roast is in, and an extra scoop of ice cream in your affogato just when you need it the most.